Although some areas have been removed from the regulatory playing field by new thresholds, that doesn’t mean regulators go away until the pendulum swings the other way. Their regulatory attention will need to flow somewhere. What are the most likely targets? 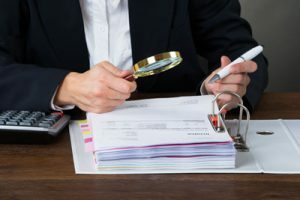 Near the top of the list of high-value candidates for targets would have to be increased scrutiny of the Bank Secrecy Act (BSA) in an effort to find violations that may have gone previously undetected. For evidence of how high high-value BSA violations can be, one need look no further than two California banks that were handed fines totaling $57 million between them. In 2017, Merchants Bank of Carson, California, was hit with a $7 million civil money penalty for “egregious violations” of anti-money laundering (AML) laws. Then earlier this year, Rabobank, N.A. of Roseville, California was slapped with a $50 million penalty by the Office of the Comptroller of the Treasury (OCC) for issues related to its AML efforts.